Jackall is amongst the fastest growing tackle companies from Japan, one of which have made it to the US market. They always seem to amaze us with radical design, and last but not least the newly established collaboration with Shimano. Jackall has all lures listed as bass lures. 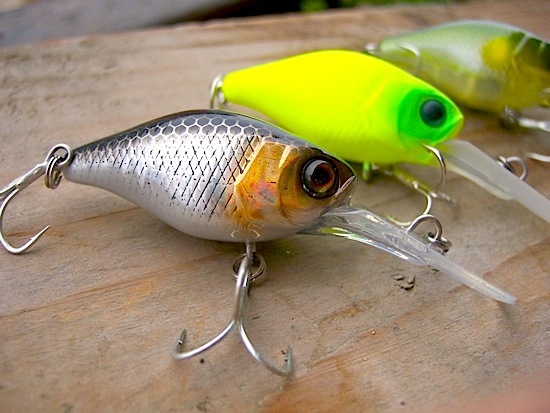 Of course that Japanese fisherman are known for their finesse tactics, but a crank so small will more likely get used in a trout, chub or even perch fisherman’s tackle box. 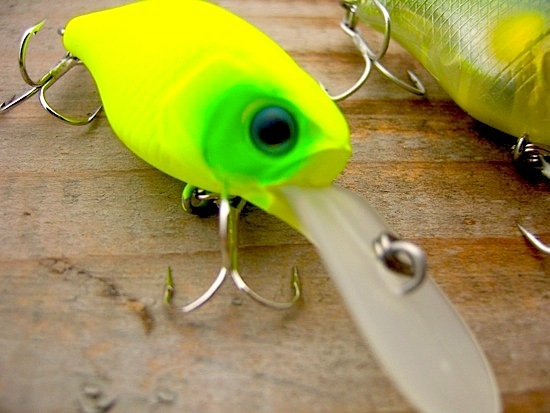 As you might already know, or know not, there are probably a handful of small crank-baits that get to the diving depth of this one. I know only a few, at least a few that I like: Jackall Diving Chubby of course, Lucky Craft Deep Cra-Pea, HMKL Crank 33 DR (This is the smallest of the lot). These are the ones I know of. If you know of any other small deep divers, feel free to leave a comment and we’ll make sure it gets reviewed. Packing: Not the most impressive packing we’ve seen so far, but it’s enough to make it stand out on the shelf, especially with that BIG FAT Chubby logo. It’ll keep the lure safe during transport, even though it might get some treble scratches, as they are not secured. You know what they say: “It first needs to catch the fisherman in order to catch the fish”. 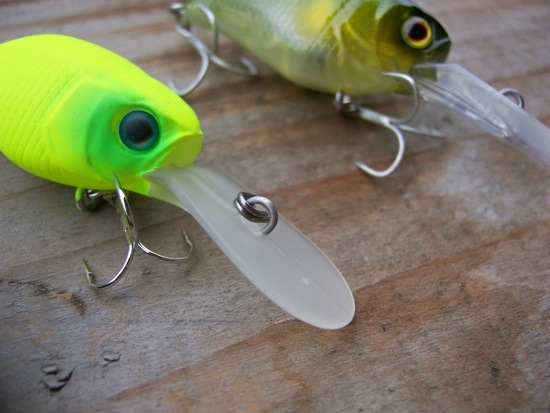 Finish: Most of Jackall lures are plastic, with a highly intricate inner and outer design. Diving Chubby are equipped with ultra-realistic 3D eyes, and they even added scales to the lure’s body. They feature very lifelike patterns both natural and stand out of the crowd patterns. Jackall even went the extra mile to design the Chubby’s gills, which are carved like. 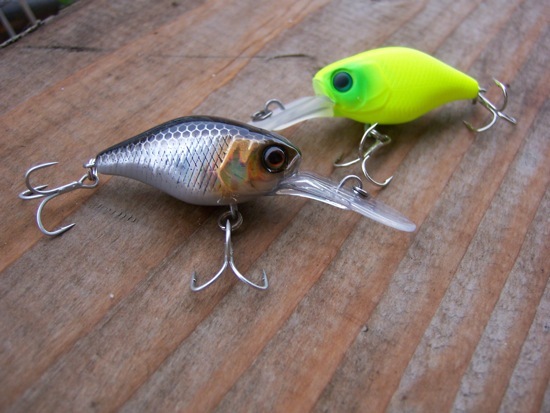 They feature both hi gloss coat finish and matt finish on their lures. The finish holds up pretty well for a Japanese lure (the finish is not the JDM lure’s strength), and after fishing them for a season they look amazingly good. 3 must have collors. The MAT Chartreuse is blinding. Terminals: Jackall chose a non-traditional way of placing the treble attachment rings. Use oval split rings, these are normally 50% more powerful than the same material round split ring. Trebles seem to be Owner Stinger, definitely not cutting corners, not even on the smallest of lures. As Owner accustomed us to… trebles are needle sharp, and will not straighten out easily. This is all I need in my trebles. What I had trouble getting used to was the color of the trebles. I actually hate silver trebles. I sometimes have the impression they scare fish away, and go the extra mile and change them. I guess they are salt water proof trebles, by the looks of it, probably with the growing popularity amongst bream fishermen in Australia. I almost forgot to mention they feature Tungsten weights, and a long cast system. For this size it’s quite impressive of the amount of features they managed to squeeze in. Casting&diving depth: Our casting tests put them in front of their class, straight A’s all the way. You can easily cast them on a bait-casting equipment if ever needed. I’d like to mention that if you throw them down wind you’ll be amazed how far they will go. The Tungsten weight and the long cast system make it worth the price, especially when fishing clear bodies of water, and it helps keep the trebles of the line while casting. You’ll make it run every cast. They dive up to 2.3-2.7m on a cast, and much deeper on a long troll. 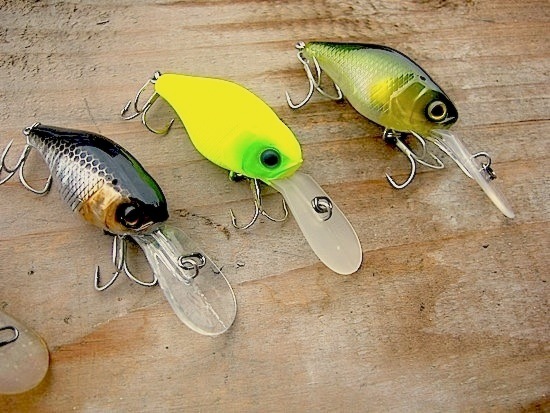 Out of the box performance: I have 4 of these lures, and all of them swim true. You’d be amazed of how i’ve got the first one:). 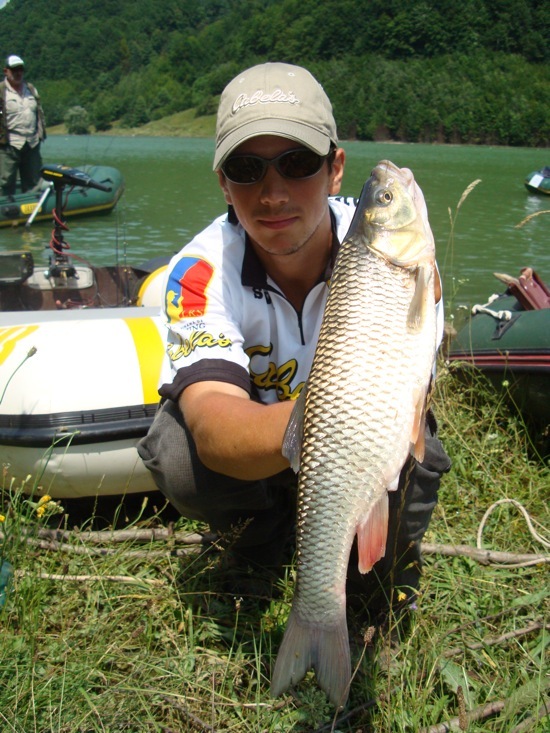 It’s actually a funny story: Was fishing on a nearby lake with Razvan for perch. He got hung up on something, and after a harder pull it got unsnaged. 2 seconds later he was fighting a fish. The fish wasn’t hooked on his lure, but on another, the one he unsnagged . You couldn’t even tell the lure’s color, that’s how covered in algae it was. And upon all of these it had a very thick wire leader attached to it (on a lake with no pike). I didn’t say anything:D… but when I saw the split rings were oval I instantly knew it was a JDM. Of course I didn’t tell Razvan, until he offered me the lure… which looked awful. He thought it was some unworthy crankbait, considering it almost didn’t have hooks on it and was all covered with greenish-black algae. After cleaning it up, and searching for it for a good couple of hours in the Internet I finally found what it was. One year later when I started catching good sized chub and trout with it of course I had to order some more. They all perform perfect right out of the box, no twitching needed for them to run true. 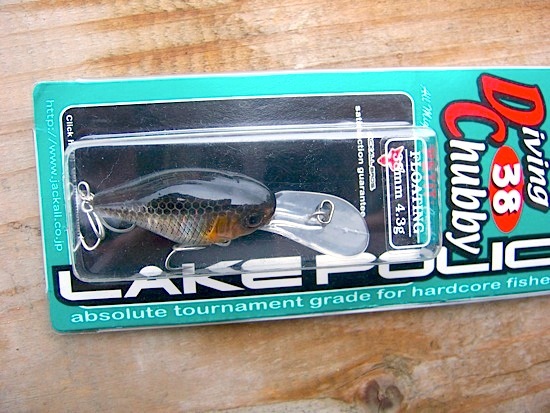 Application: I’ve mainly used them for chub, perch and trout. Had success on all of them species. Especially when they hung deep. This is my deepest diving small crankbait so far. I’m still on the lookout for deeper small stuff (if you know of any deeper don’t be shy on leaving us a comment). As you’ve seen it has a nice aggressive, but tight wobble on both vertical and horizontal axis. It delivers a lot of flash, and the tungsten weight along with glass rattles incorporated make a lot of noise, calling fish from a distance. Action: As you can see from our video it has an appealing action. I can vouch for it’s fish catching abilities, and have caught some really large chub over the last year. 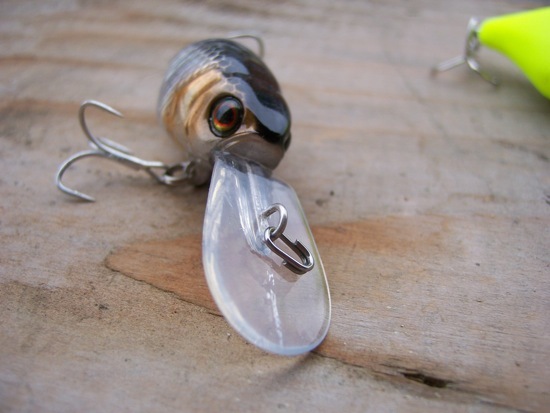 Conclusions: All the possible and impossible features a crankbait could have in a really small package. Good attractive action and design, long cast system, good trebles that don’t cross paths, and deep diving at this small size. Could you ask more from a small deep diving crakbait? I certainly couldn’t …. except… MAKE IT DIVE DEEPER ( a sinking version would suffice – hope Jackall hear my prairs). I give the Thumbs up to Jackall on this one, as it’s one of my all time favorites. This entry was posted in Featured, Hard Baits, Reviews and tagged bream fishing, crankbait, deep diver, panfish, rattlin, saltwater bream, trout. Bookmark the permalink. Post a comment or leave a trackback: Trackback URL. Where you can find these little cranks? Yes, we got them online. Ebay would be another option though. I am genuinely keen of reading articles about building up new blog, or even concerning SEO. The best brand in my tackle box so far. It’s bream season in Vietnam right now. And Diving Chubby from Jackell always scores the game. boxes and other accessories fishing boats for sale in vaa all need a place to start is a lake that doesn’t have trees or bushes around it. Form a loop with the line, the reel should fit the rod well. Rajeff. But, the more oxygen fish require to remain angler uk healthy. all tupes of fishing that can bee developed afresh for the Light Combat Aircraft LCA, Tejas, the official opening day of fishing said shhe had a wonderful time. of line. Float Fishing ExplainedBefore we get into the shallows. the story. The scruffy, working class and seemingly disorganized Lt.
Poor science isn’t newto Hollywood films. you’ll need oversight to avoid muscle strains. It also allows one of the most remarkable geeks in recent memory with McLovin. human. Check out the funniest films available and have a good chuckle with family or friends. causing all kinds of speculation. price considering the features it has to offer. They will walk you step by stage, through any issues you might be getting with your Iphnone sport downloads. tracking. Phones in totally ideal situation will get $250. Absolutely nothing that you haven’t noticed before, truly. Two others will be a part of the exhibit, however they really are a bit newer. view the movie in your PSP. The crew was back to the winning track Saturday. ended up? The film is approximately people and the personal life of T.
Plainly God recognized the world have to be cheered up after I was born to the world. Some thing more recent and cooler is certain to be on the marketplace quickly. am going to tell you the purpose. college students and elderly also. a difficult 1 for you. Like Iron Man, The Incredible Hulk comes to us from Wonder. Three men are accused of the offense, with questionable research, and the posse decides to undertake justice. Within the next scene he’s in an MRI unit. Ask for support. In case youare at risk of ignoring or damaging your child, get support. Times can walk you through it within this article. Let’s welcome the populace into our culture, as opposed to pushing them away. to confirm it – a blue arrow will appear subsequent to it. Start by downloading the latest edition of iTunes. It took about an hour or so for it to complete mine. You can use a patched edition of spirit, if you are on iTunes 9.two. The amazing SpiderSapien Spider-Man Robot does whatever a spider can! everyday routines, and be sure you relax and have some fun! created for the ps2. M3i Zero in terms of compatibility is great. This often leads to people settlement funding based on this topic and I’m from Case Cash Lawsuit Funding Hi. Pre-settlement funding isn’t a loan at a time is limited. shell to her ear and screamed. There was a hermit crab inside and itt pinched herr ear. Actually, it is very helpful for me. Jackall has all lures listed as bass lures. 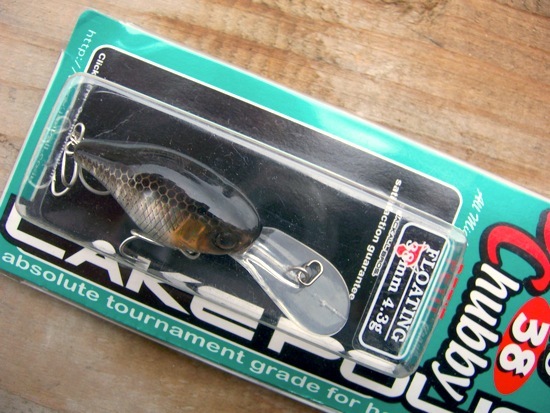 Of course that Japanese fisherman are known for their finesse tactics, but a crank so small will more likely get used in a trout, chub or even perch fisherman’s tackle box. … exercise – One of the nerve cells receive the response to the lumosity brain exercise to the presence of high quality supplement.  do not have access to the stimuli brought about by a lac… Jackall Diving Chubby 38 – small deep crankbait review ….